Used Cosmetic lasers and used aesthetic lasers repaired professionally. 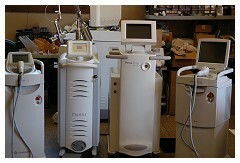 We provide used and pre-owned cosmetic laser repair and used cosmetic laser warranties. We buy and sell used cosmetic lasers, used medical lasers, used ophthalmic lasers, used hair removal lasers, used vascular lasers and used wrinkle lasers. Cosmetic Laser Repair Service by Matrix, Inc.
At Matrix, our Service Department is in-house and is the integral component that allows us to service your needs both before and after the sale. We fully service, calibrate, and inspect each cosmetic laser, medical laser and ophthalmic laser before it is delivered to. In many cases your laser will be set up and calibrated on site (depending on the type of device). 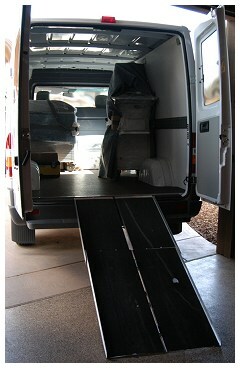 There is no need for us to contract our laser service, as we have a full time technician on staff and at your service. We offer a standard 30 day warranty with every cosmetic laser, medical laser and ophthalmic laser we sell, and extended service contracts for both parts and labor as well! At Matrix, our focus is on the customer and saving you money, that is why we offer extended "Preventative Maintenance" contracts as well, thus giving you an "A La Carte" menu that best suits your facility's budget and laser needs. What the major manufacturers do not tell you is that by performing routine maintenance on your pre-owned medical laser, most major services can be avoided. Through routine maintenance, Matrix will optimize your facility's budget while ensuring that your medical laser will meet your demanding needs client after client. If your laser does need a significant repair Matrix will only charge you the wholesale cost of the parts, and the exact travel costs to and from your facility, the labor is FREE. Each device undergoes a detailed inspection prior to delivery, our technician will respond within 72 hours during the standard warranty period, and is available for 24 hour turn around at your discretion during our extended maintenance programs. This is just one example of how Matrix delivers the control back to the customer thus allowing them to choose not only a pre-owned laser but service a maintenance tailored to the specific needs of the demanding practice. Pre-owned prices - Factory trained technicians - Preventative Maintenance - In house consulting services - Marketing and business system's support………….. all reasons that make Matrix miles ahead of the competition.